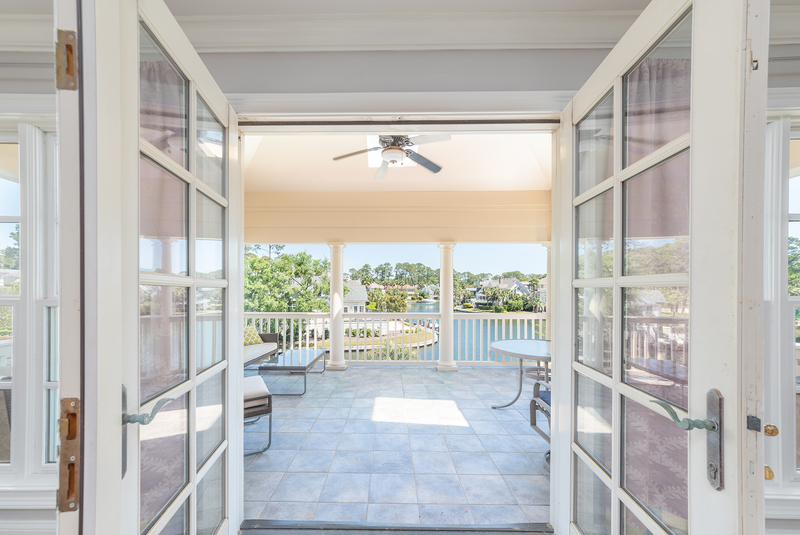 The entry commands breathtaking harbor views opening to an elegant light filled Living Room with French doors – setting the tone for the views that await you. 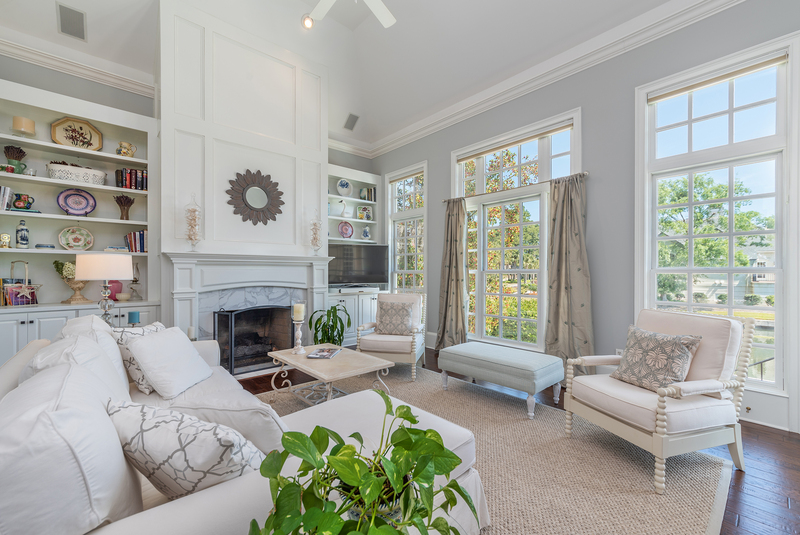 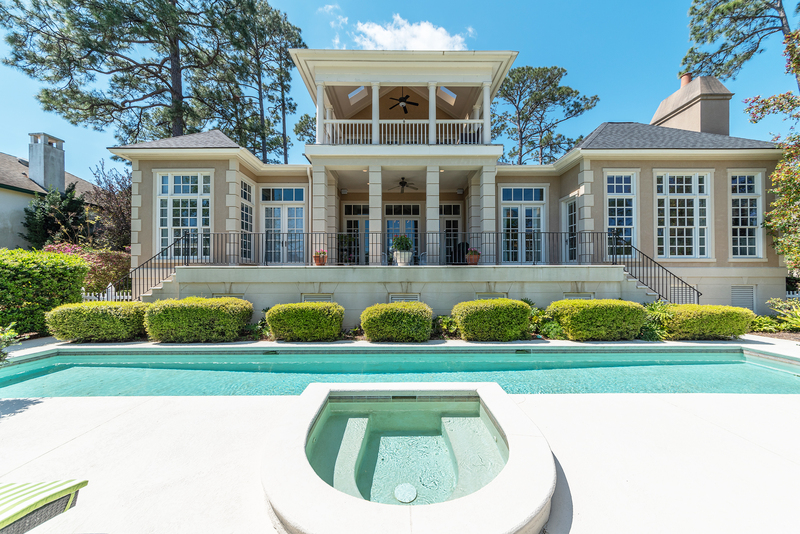 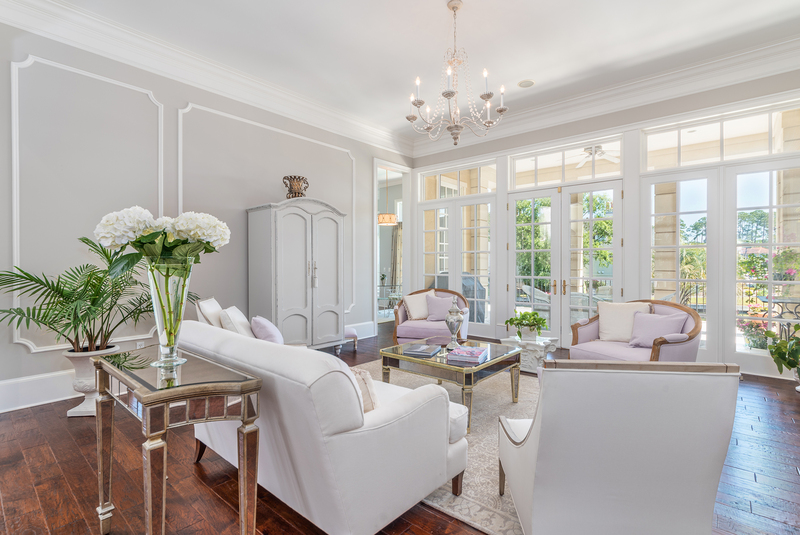 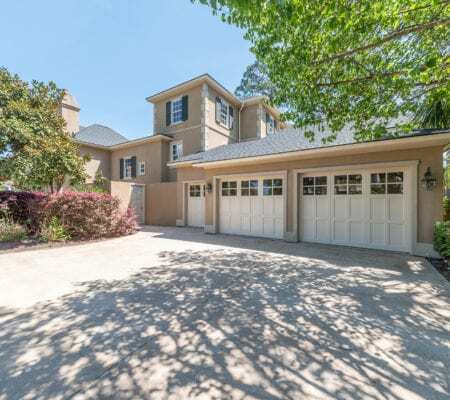 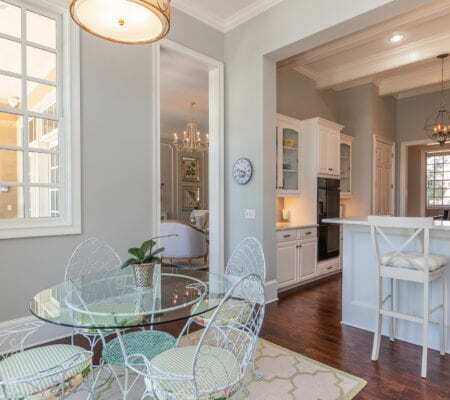 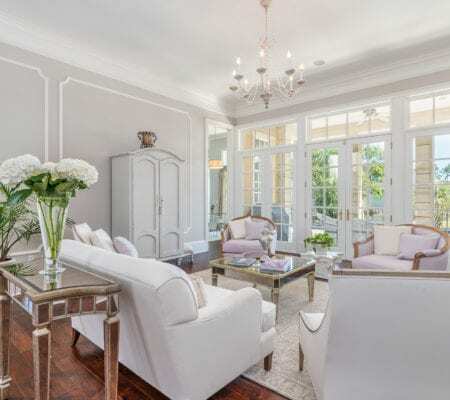 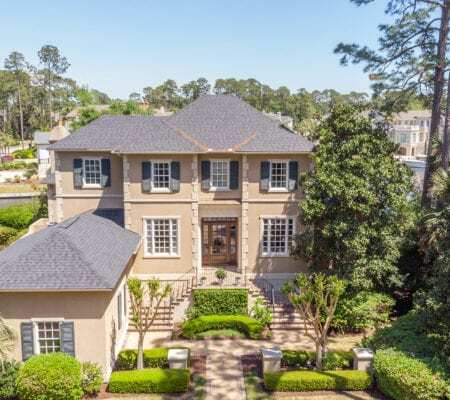 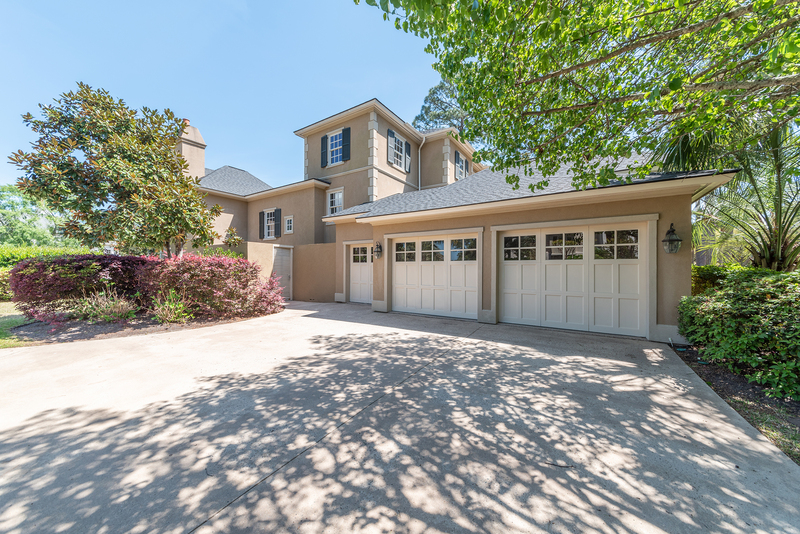 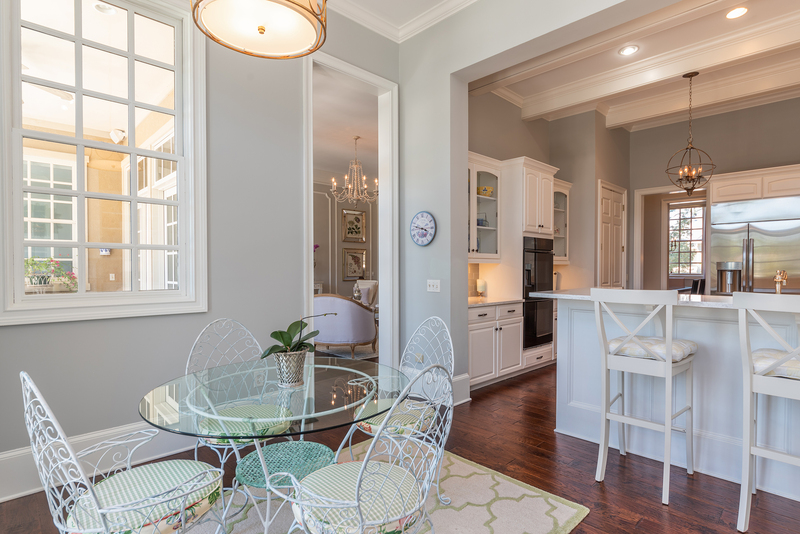 The home’s interior features captivate with soaring ceilings, new hardwood flooring throughout the main floor, new designer light fixtures, and incredible wood trim detail. 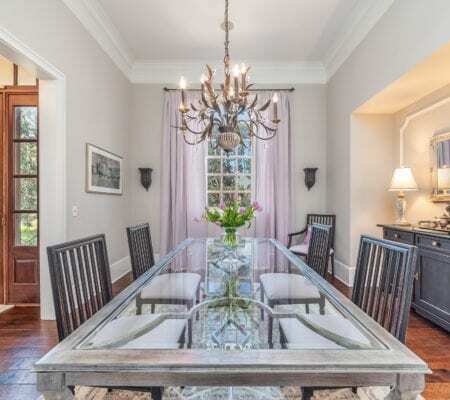 This home is beautifully furnished with most furnishings negotiable. 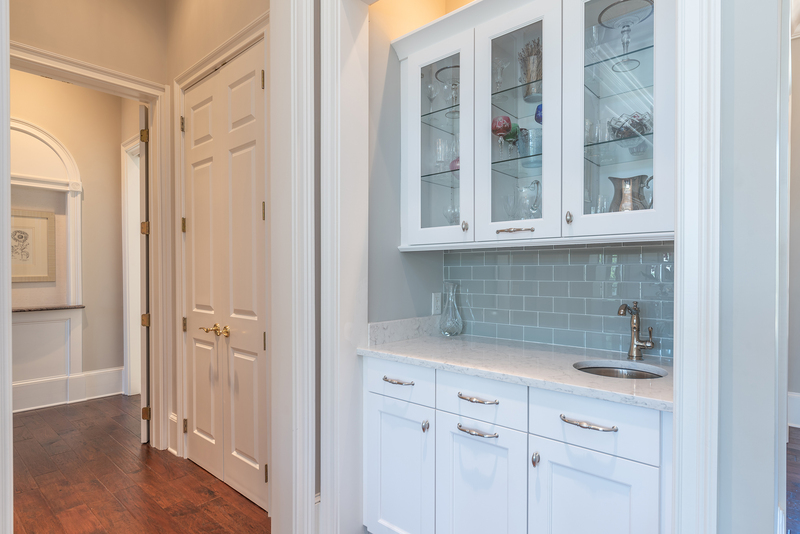 The Living Room’s new quartz wet bar with sink and custom Litchfield cabinetry make for perfect entertaining. 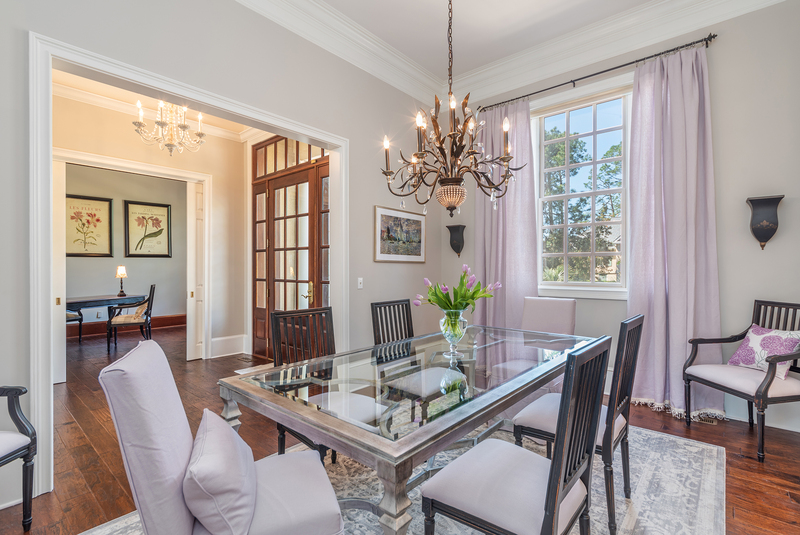 A richly appointed office with thick mahogany detailing is located to the right as you enter the foyer. 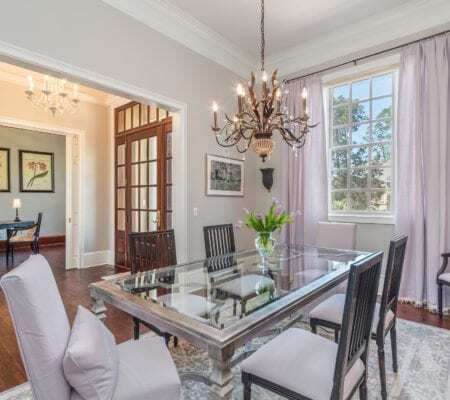 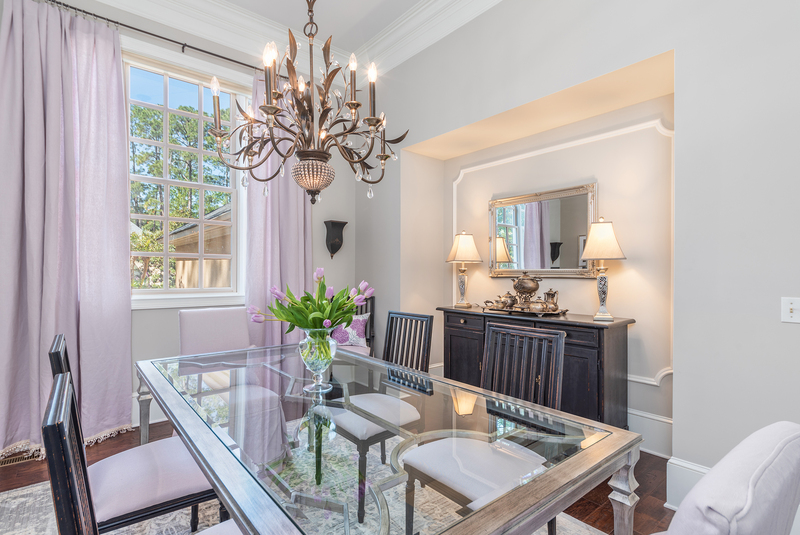 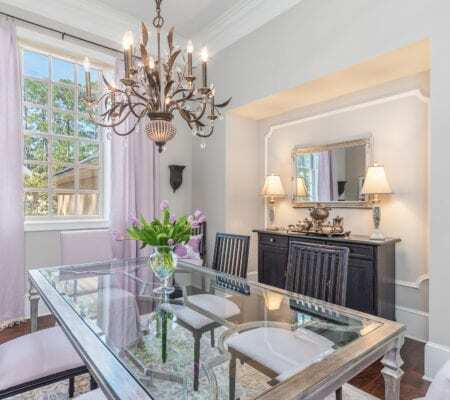 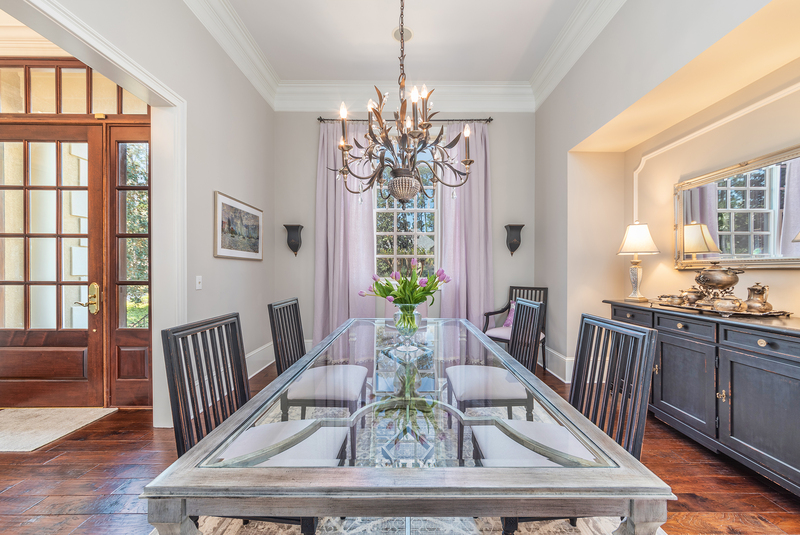 The beautiful Dining Room with incredible trim detail and wonderful lighting, is spacious enough for family and friends to enjoy, and convenient to the Kitchen for great entertaining ease. 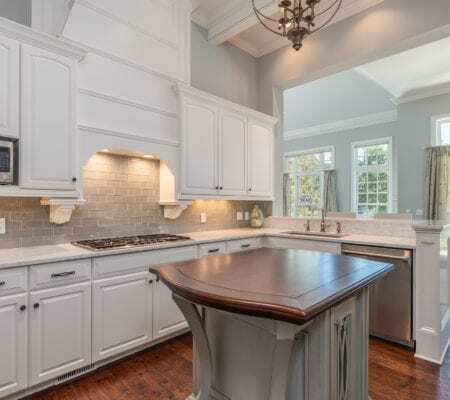 Unleash your inner gourmet in this amazing Kitchen. 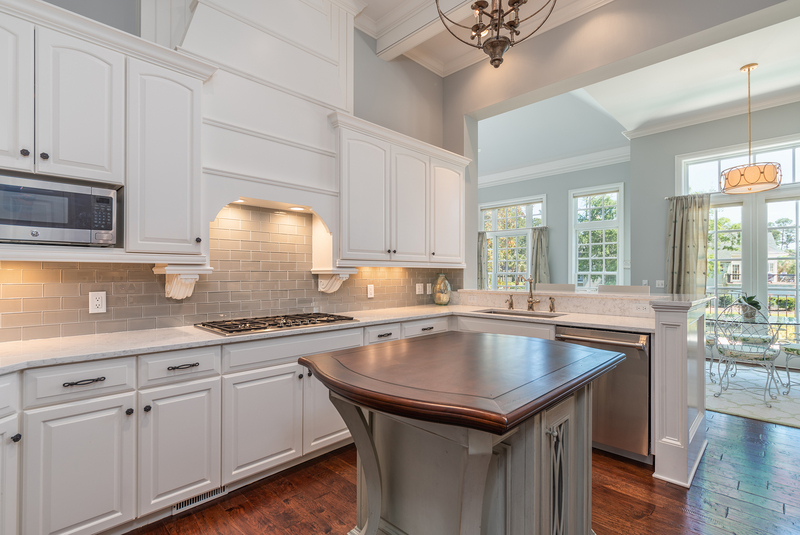 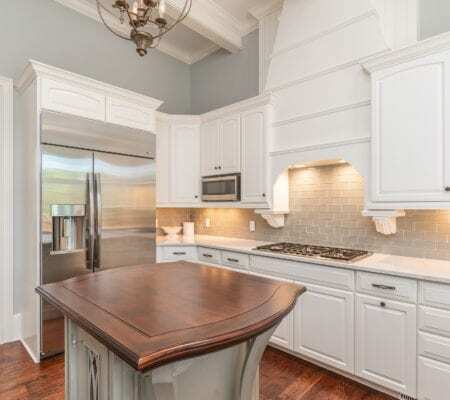 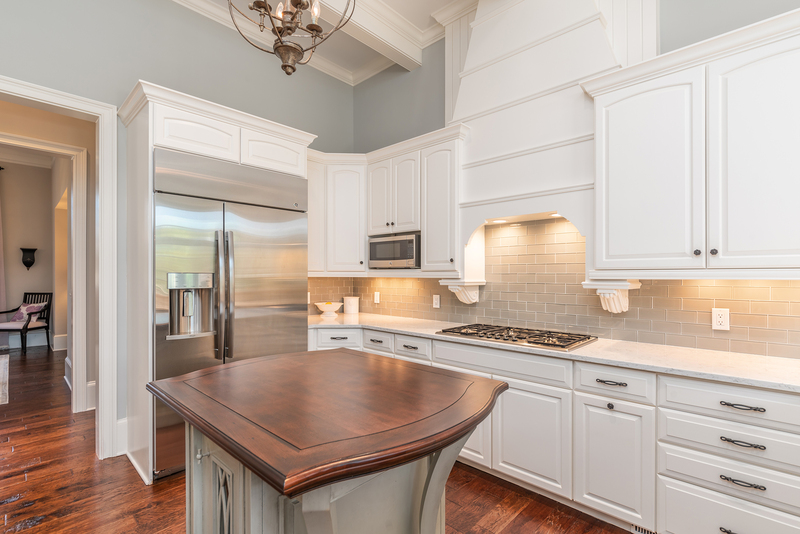 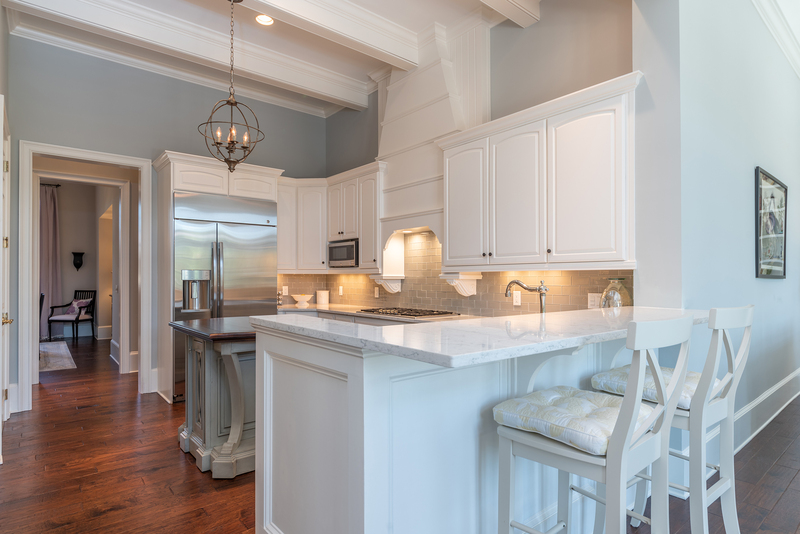 This incredible kitchen renovation includes top of the line appliances, quartz countertops, glass subway tile backsplash, custom wood Habersham island, ornate custom hood, beams & trim added in ceiling, new hardware, all new paint, and custom glass insert cabinet doors. 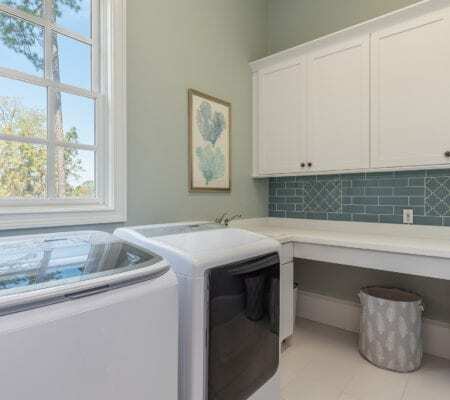 Appliances include new Stainless GE Refrigerator, new Thermador 5 Burner gas range, Thermador double ovens, new Thermador stainless dishwasher, new stainless GE Monogram wine cooler, and new disposal. 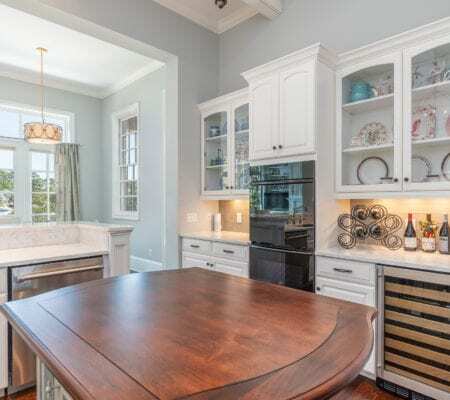 The kitchen includes an eat-in area, bar counter with seating, and spacious pantry. 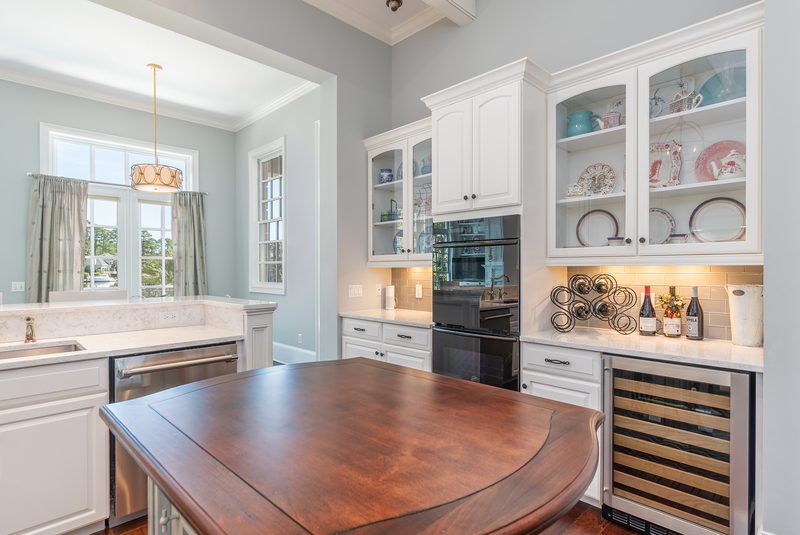 The kitchen opens to a light filled Family Room with direct harbor views. 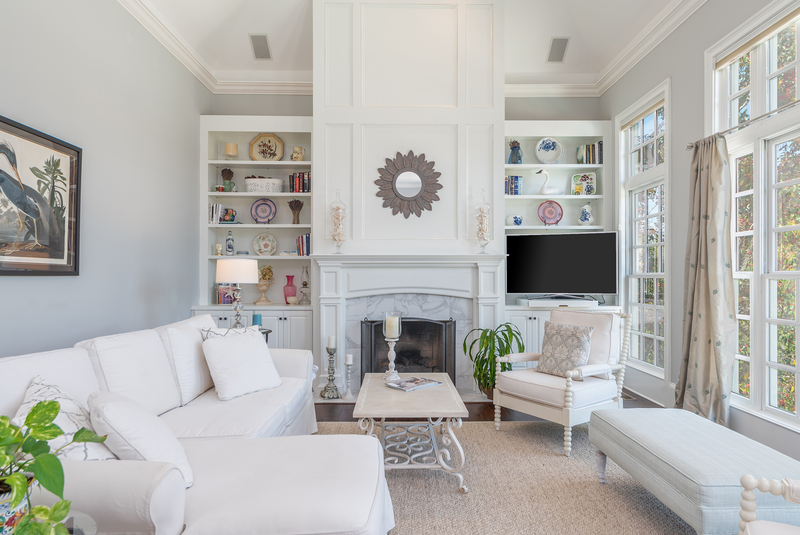 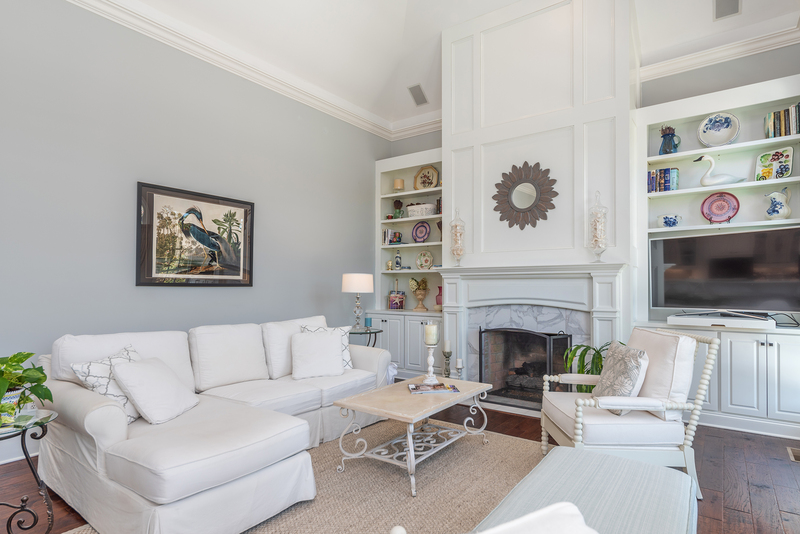 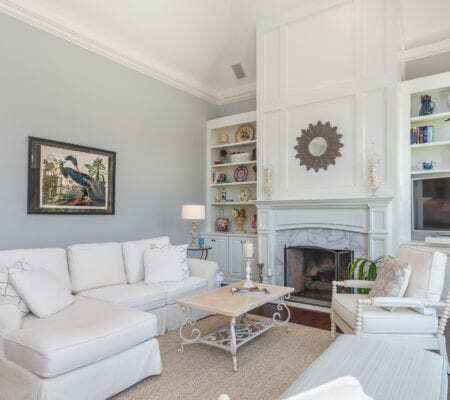 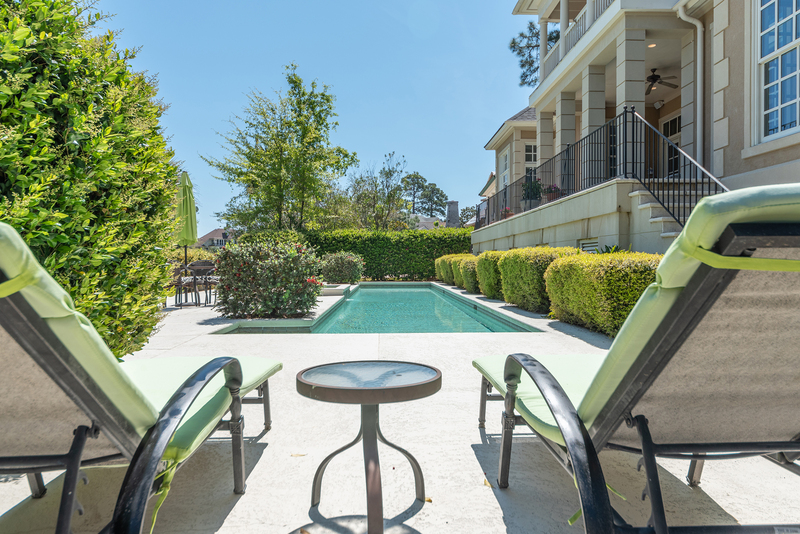 This room has a gas fireplace with mantel and new tile surround, custom built-ins on either side, extensive crown moulding, and access to the covered balcony overlooking the pool/spa to harbor. 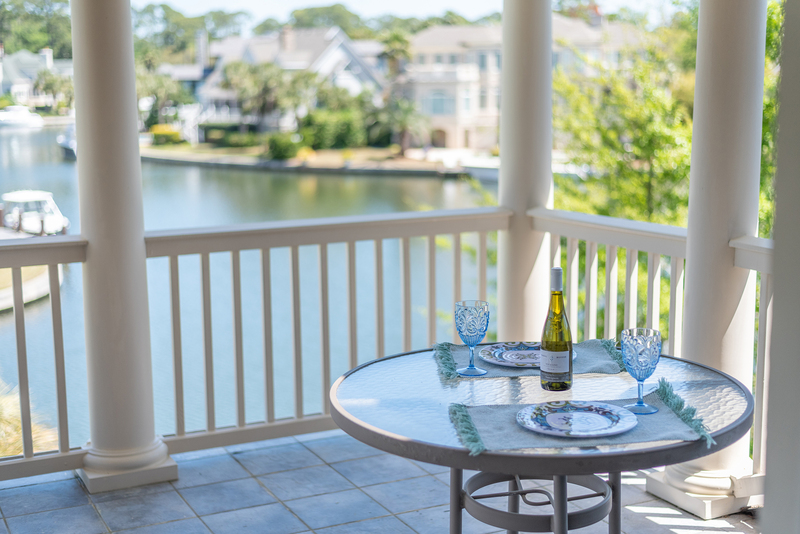 Enjoy outdoor living and eating under the covered balcony accessed via the living and family rooms, as well as the upper balcony. 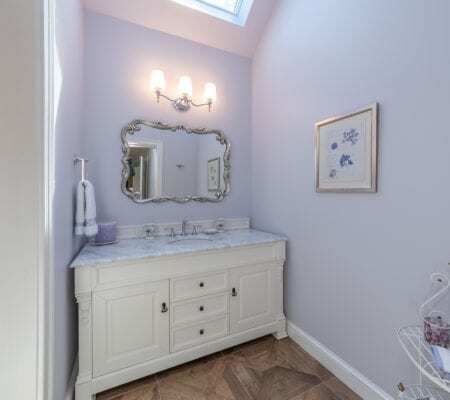 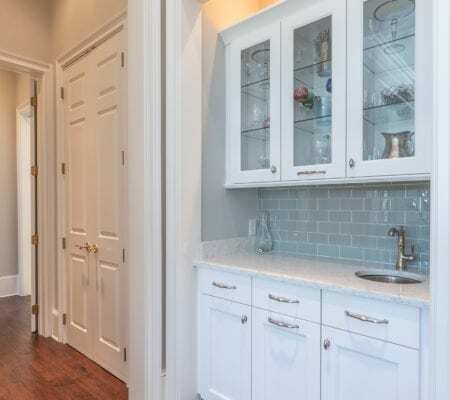 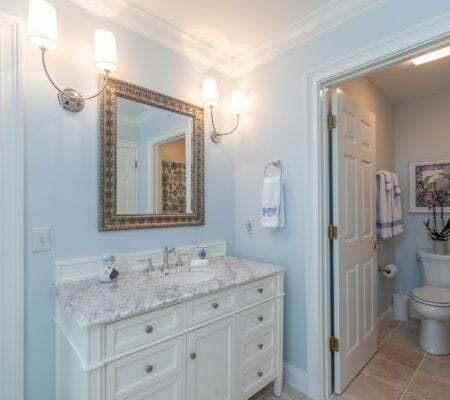 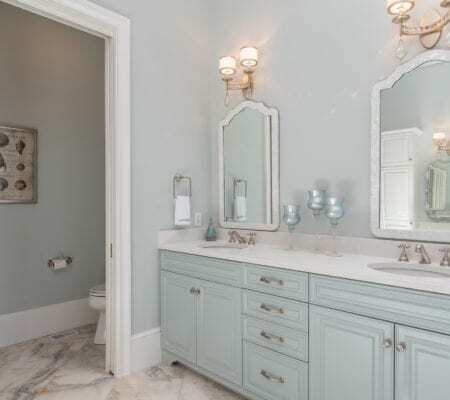 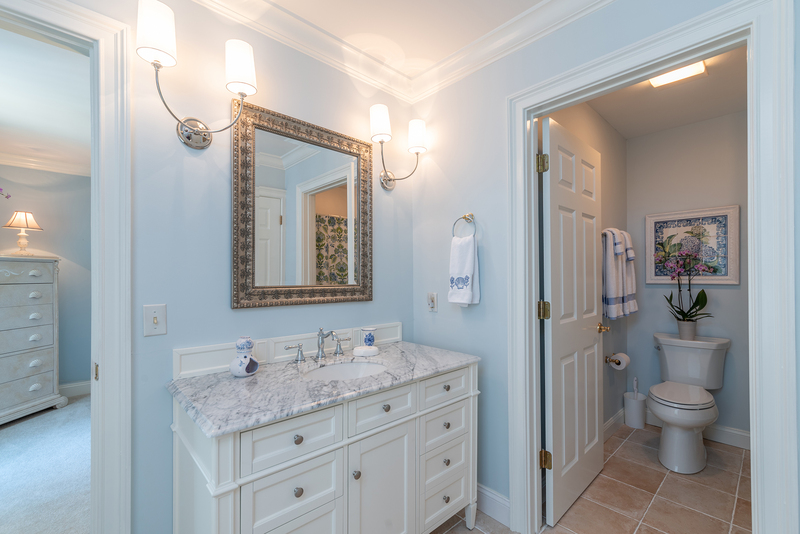 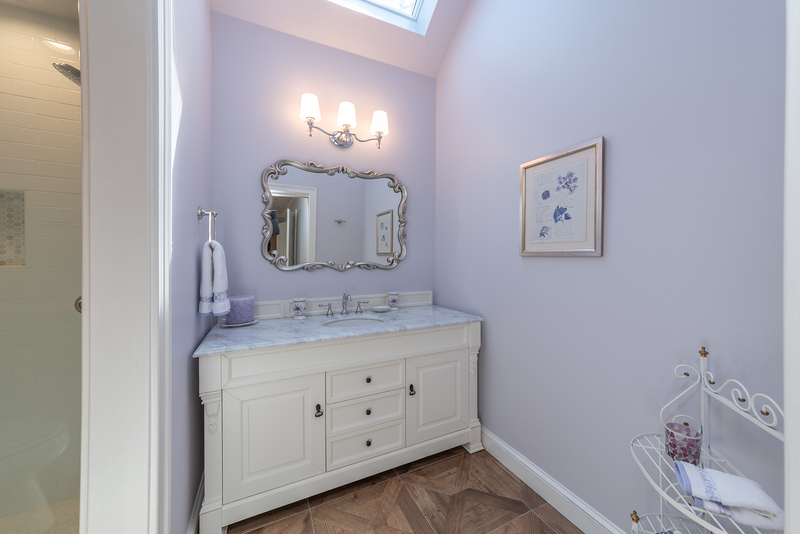 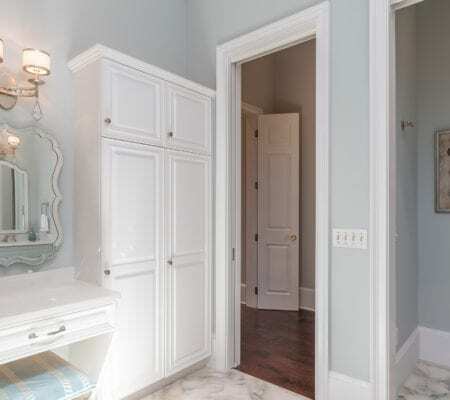 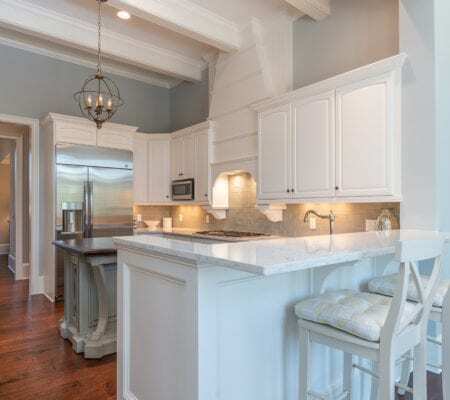 Located behind the kitchen , you will find the powder room with new vanity, George martin cabinetry, new paint, hardware, moulding, and hard wood flooring. 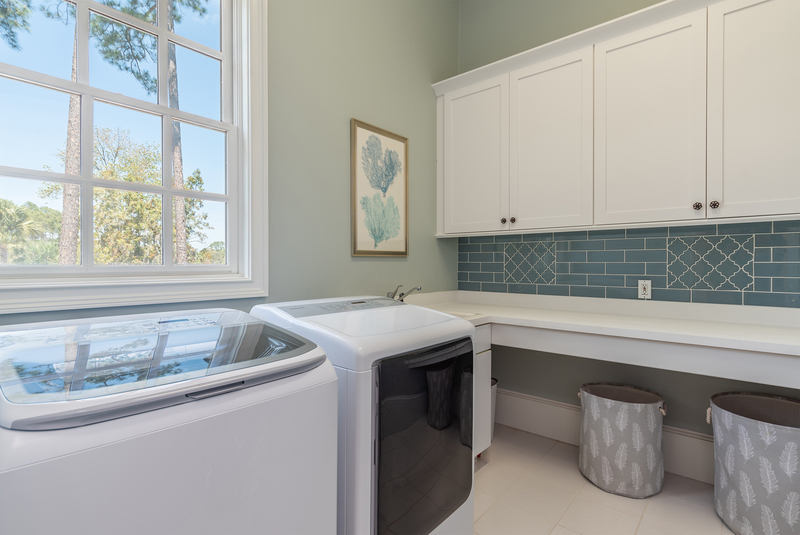 Adjacent to the powder room is the Laundry room with all new cabinetry, hardware, sink, and new Samsung Washer/Dryer. 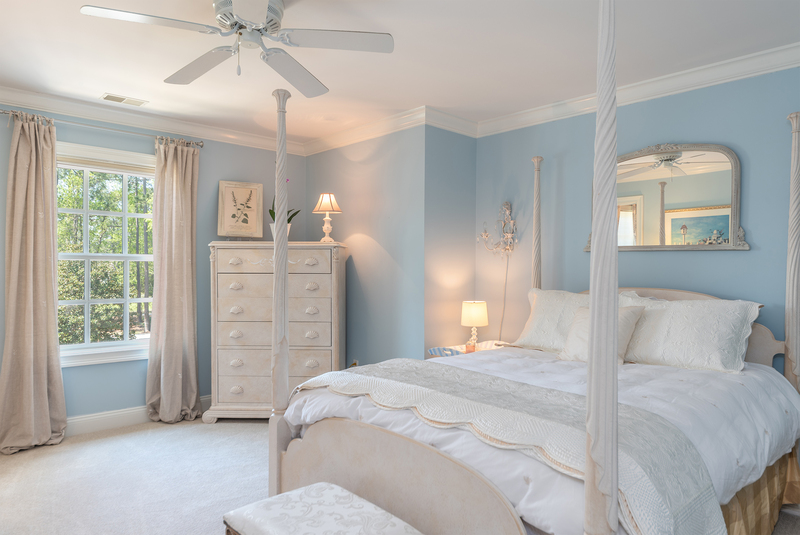 The first floor Master Suite is sure to impress! 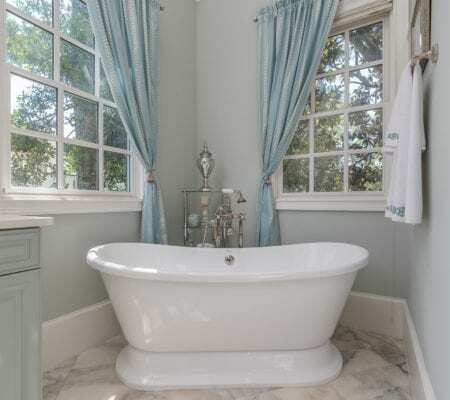 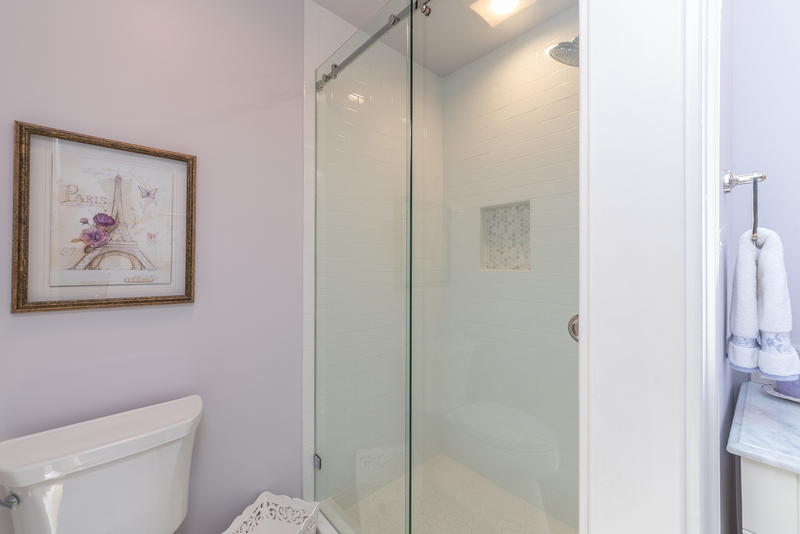 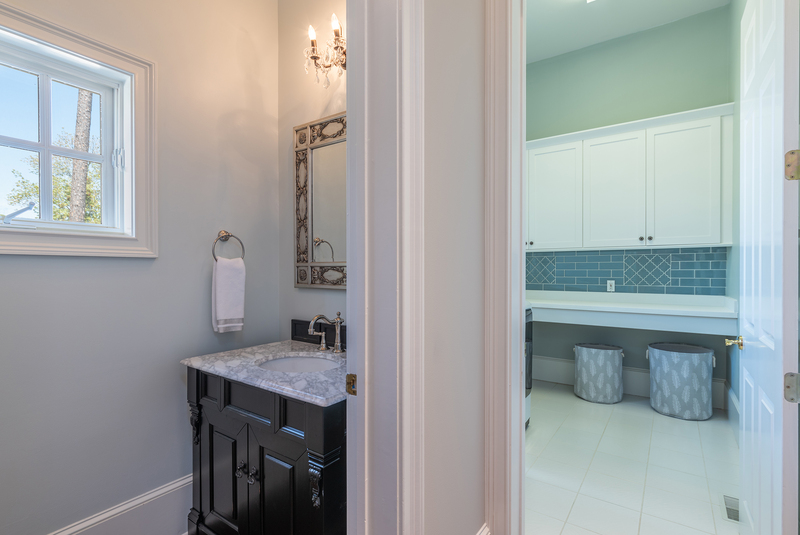 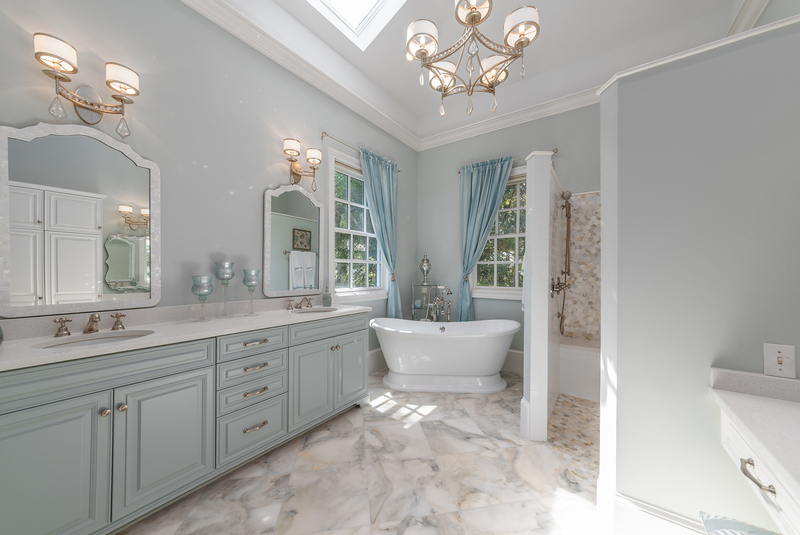 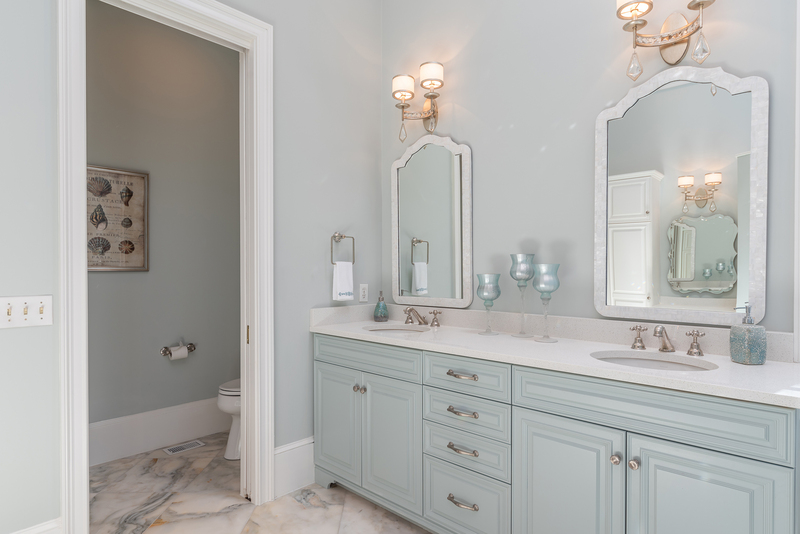 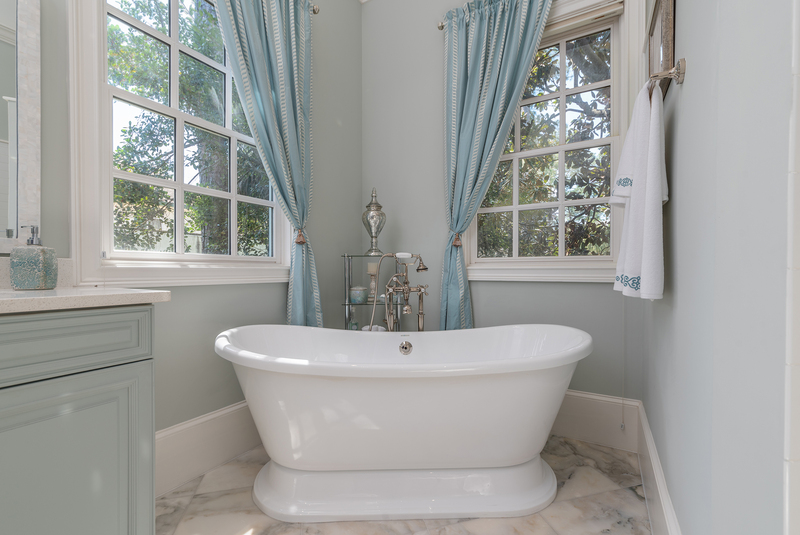 Enjoy a luxurious spa-like Master bath with dual quartz vanities, Carrera marble flooring, new hardware, designer lighting, new soaking tub, walk-in shower with subway tile surround, bench seat, and decorative marble flooring. 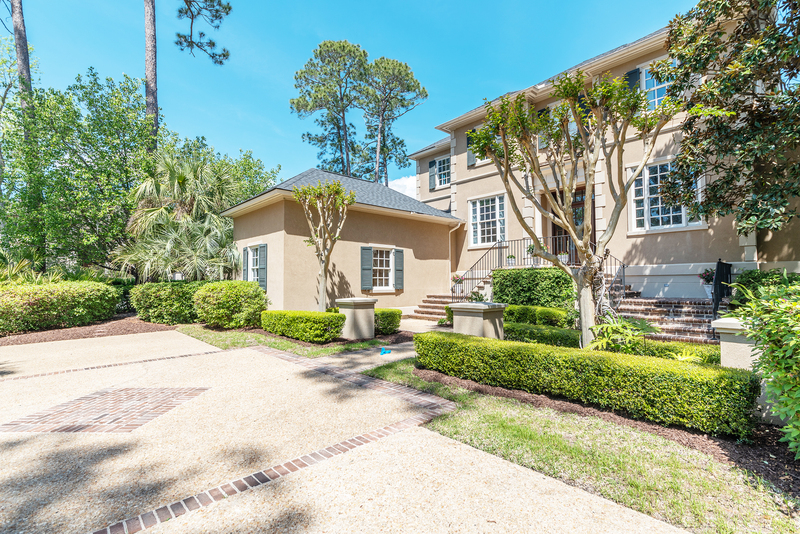 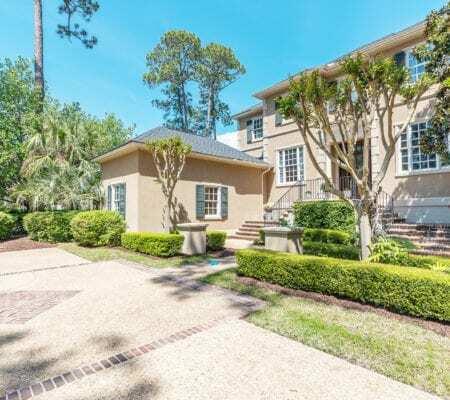 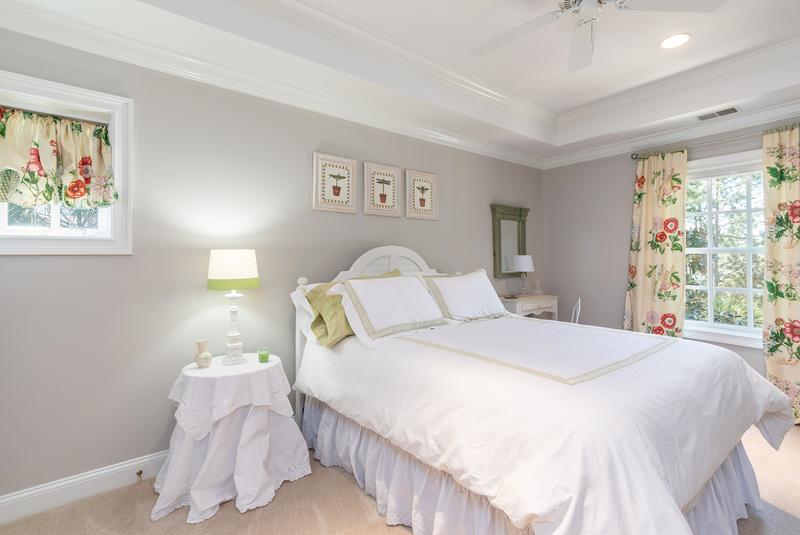 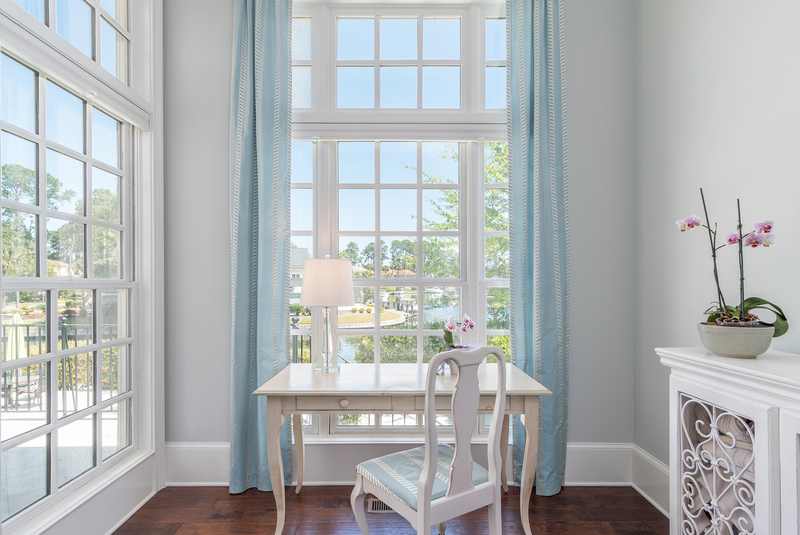 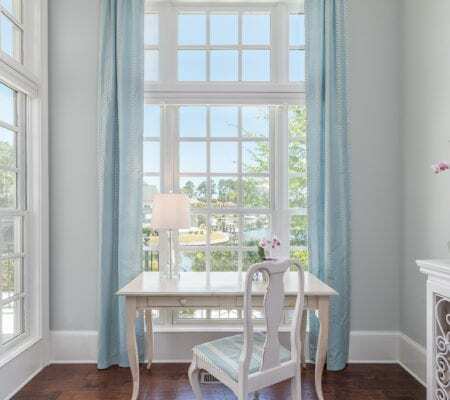 The Master bedroom has 2 spacious walk-in closets, wonderful natural light flowing in from the harbor, high ceilings, extensive crown moulding, sound system, and access to the balcony. 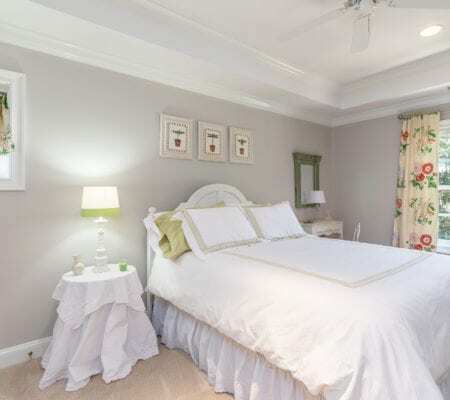 The upper level houses a spacious a 2nd Master Suite, 2 additional guest bedrooms with shared bath, a spacious hallway walk-in storage closet, and access to attic storage. 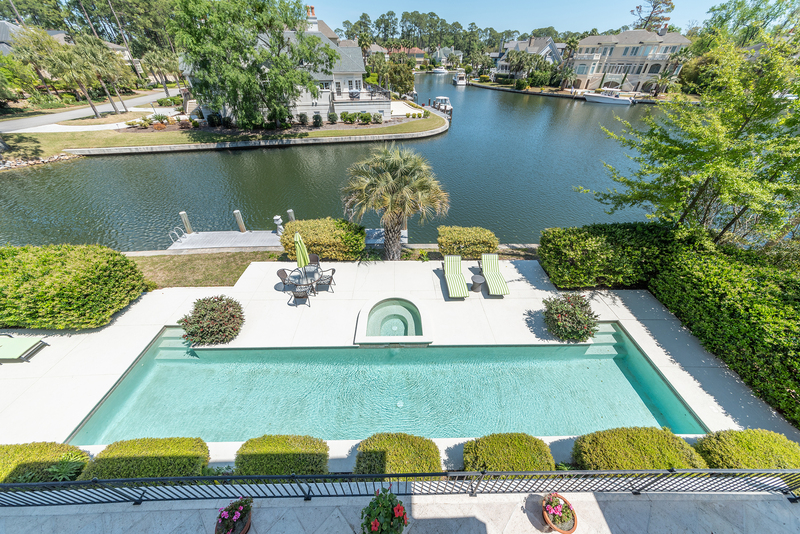 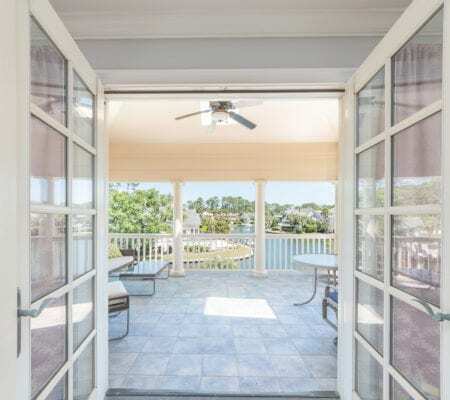 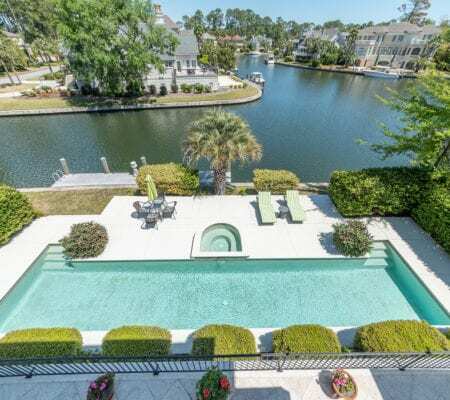 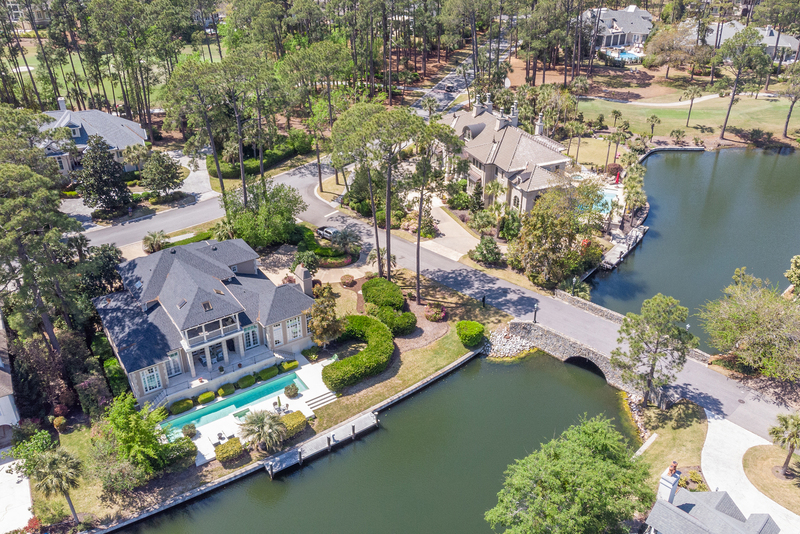 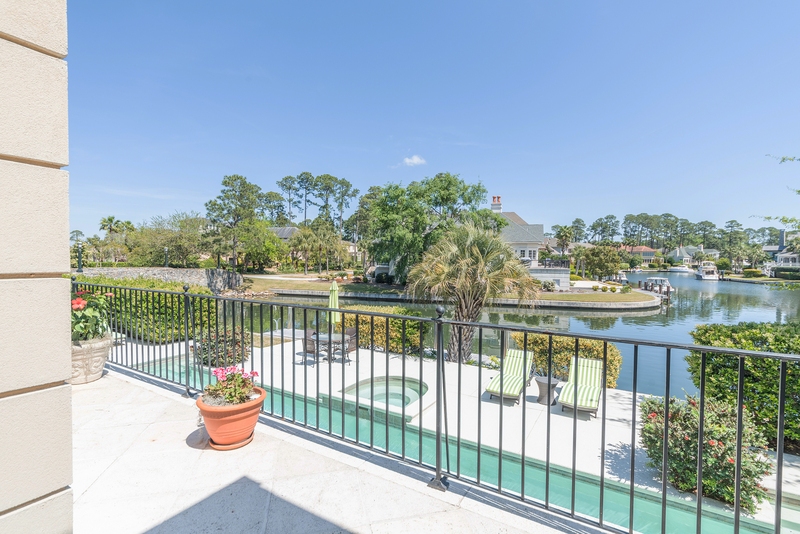 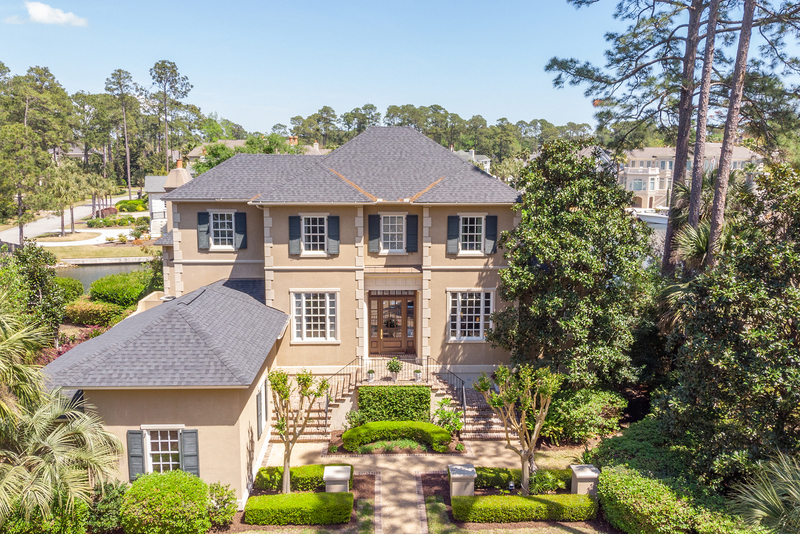 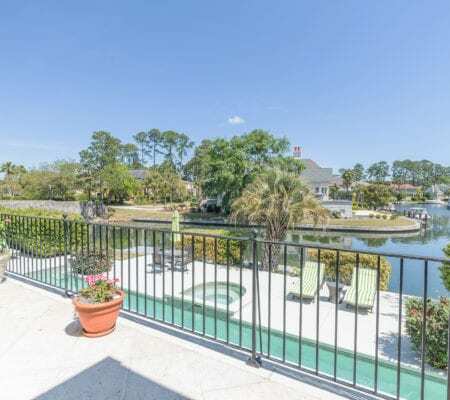 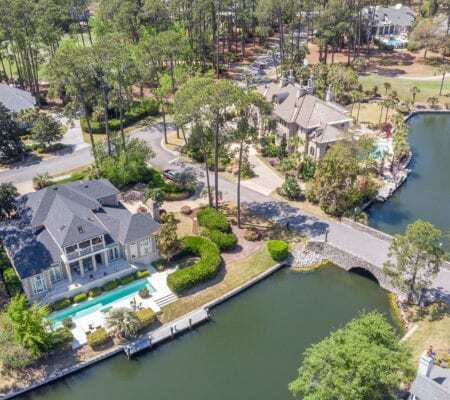 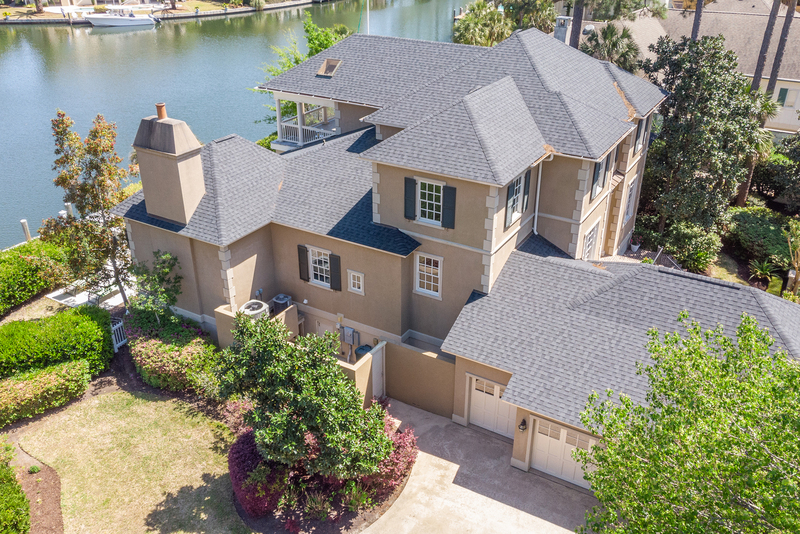 The second Master has a private covered balcony overlooking the Arnold Palmer Signature golf course and long views of the harbor. 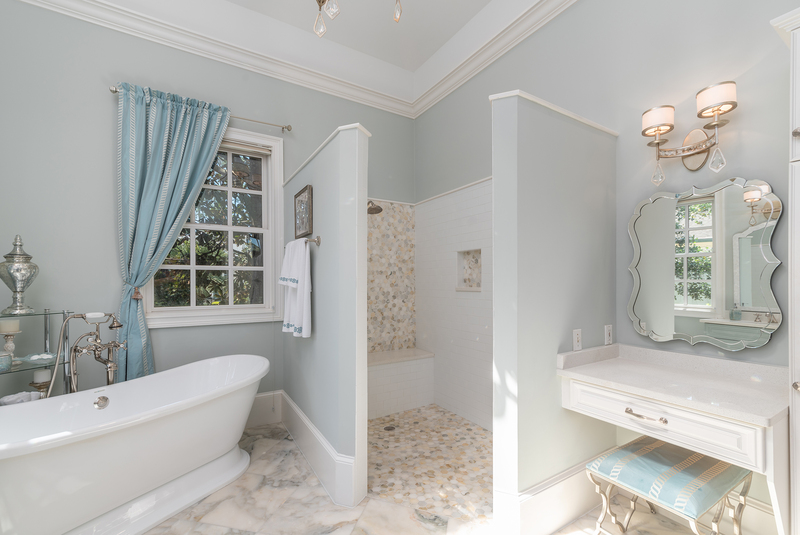 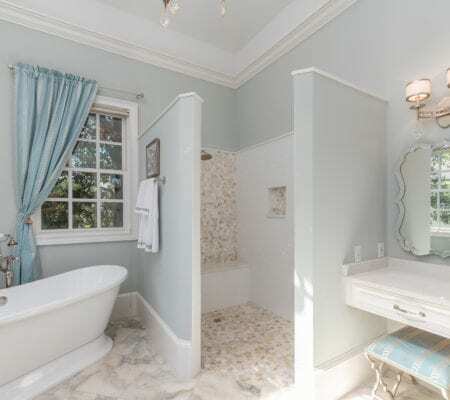 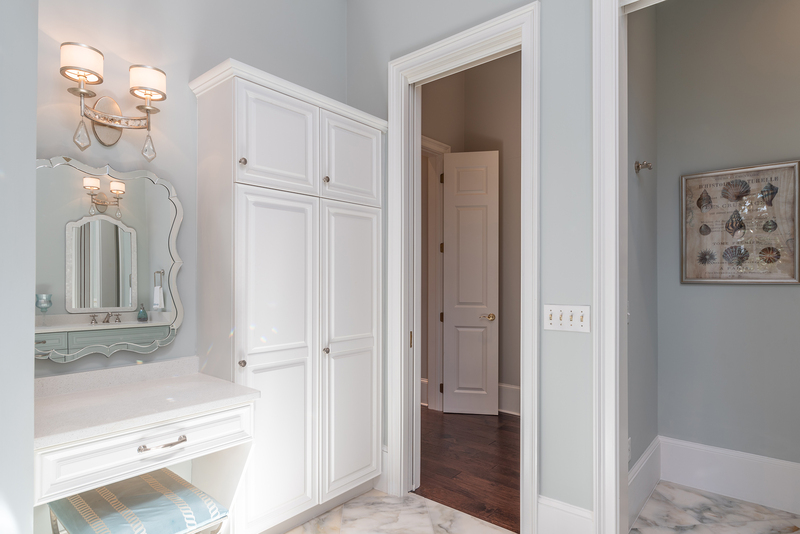 This bedroom enjoys a walk-in closet and private bath with French style tile flooring, new custom sliding glass shower with subway tile surround, James Martin custom cabinetry, marble vanity, and new fixtures/ hardware. 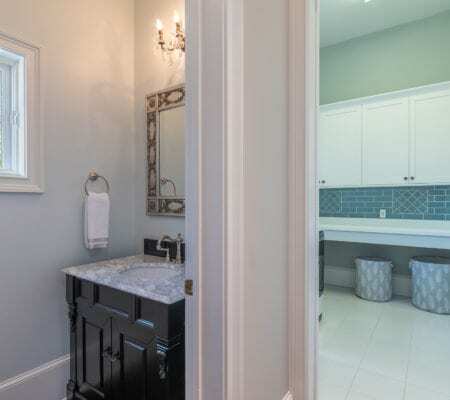 The other 2 spacious guest bedrooms on this level have large closets and shared bath with tub/shower combination, new James Martin cabinetry, marble vanity, fixtures, and linen closet.